Does this make me look like a fancy YouTuber or what?! Happy Valentine's/Single's Awareness/Manufactured Hallmark Holiday Day, everyone! Although Samuel and I don't pull out all the stops on Valentine's Day, we most certainly go out on dates - just not on the actual Valentine's Day. Have you ever tried to make a restaurant reservation on February 14th? Hot mess is what it is. 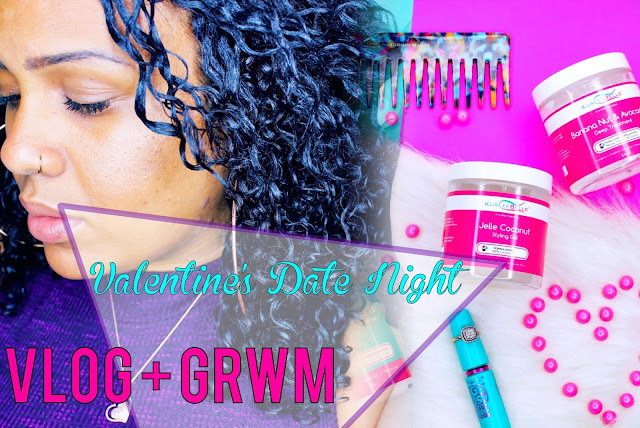 Because our date nights are typically Fridays, I thought it would be fun and a lil' different to take you guys along with me - not just doing my hair for Friday night, but how I spend my day. Warning - I'm not super exciting or fancy. I'm just a regular, degular, schmegular gal who just so happens to own a few domains and a DSLR camera. Date night look brought to you by Kurlee Belle! Oh! And if you were wondering about the method that I'm currently using to define my curls, your sneak peek is in the video! I've loved Banana Nut & Avocado Deep Treatment since my transitioning days - you can read my full review here! Definition on fleek! Do the kids still say that? 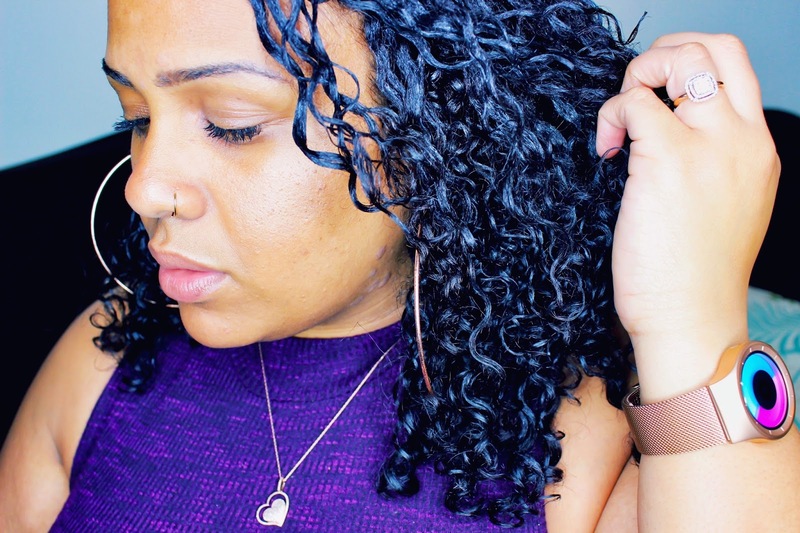 The combination of Thirsty Kurls and Jelle Coconut Styling Gel was AMAZING! 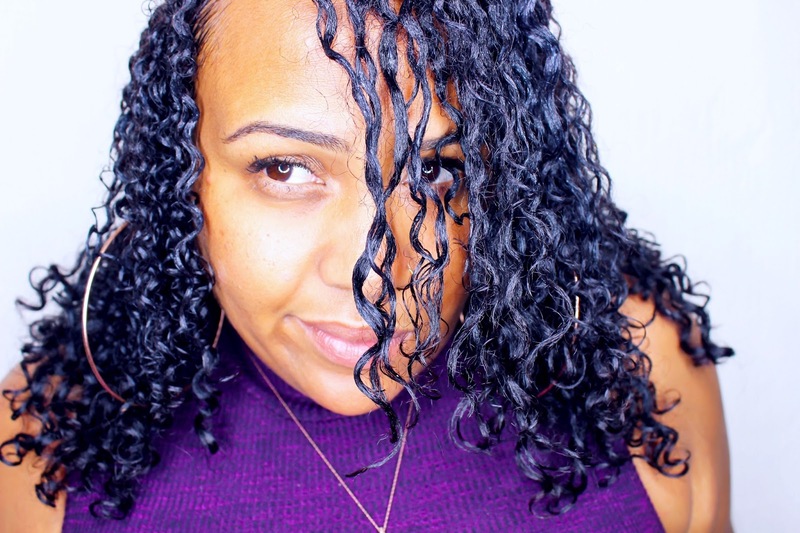 My curls were touchable, soft, defined, shiny, and super moisturized on day 1. 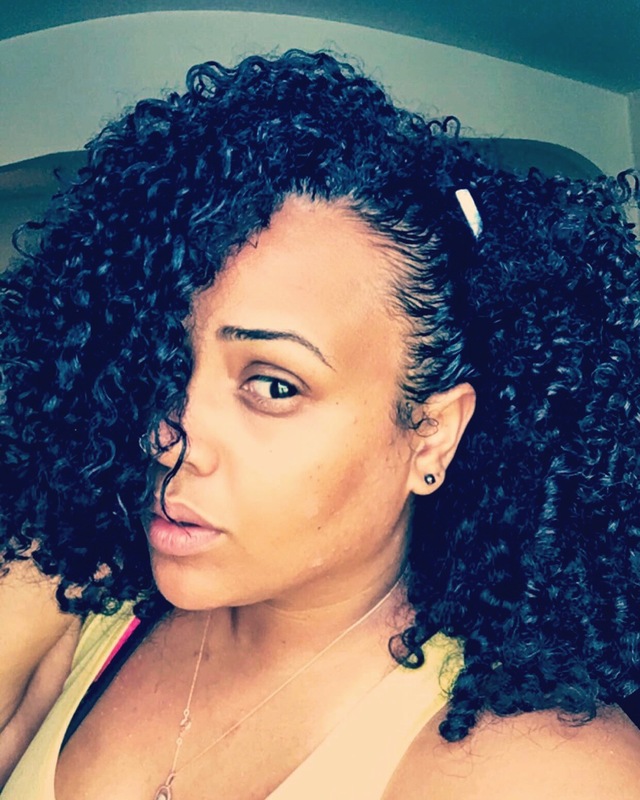 On days 2, 3, and 4, my curls got more voluminous while maintaining their definition! Talk about good hair days back, to back, to back! Oh, and did I mention I didn't need to re-moisturize my hair between days? WINNER! Volume + my fav snap filter. Can't go wrong there! 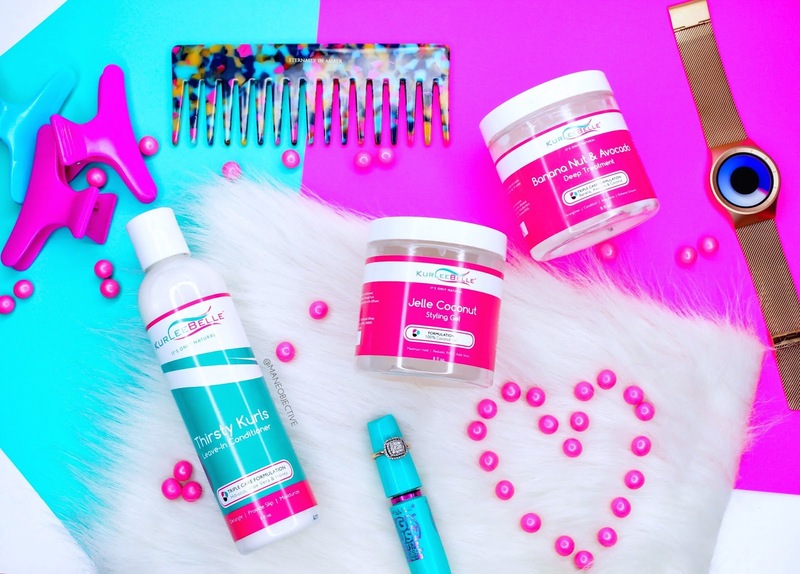 Interested in Kurlee Belle products for your tresses? I've got great news for my peeps in Florida, Georgia, and Texas! If you're in any of those three states, Kurlee Belle products are in Wal-Mart stores! Just click here to put your zip code in the store locator and find the nearest Wal-Mart store with Kurlee Belle products near you! For the rest of my peeps (myself included lol), we can order Kurlee Belle products online at www.kurleebelle.com! Per the FTC, I have to let y'all know that this post is sponsored by Kurlee Belle. But that doesn't mean anything - I'm still keeping it 100 and giving you guys the real.